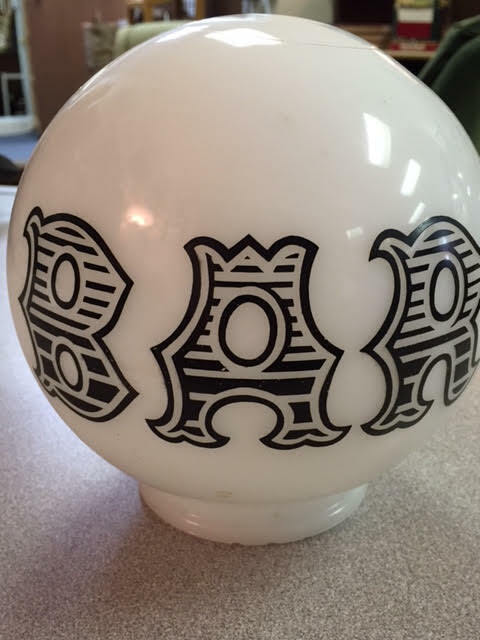 Vintage Milk Glass “Bar” Globe. 6″. A great retro look! This vintage milk glass “Bar” lamp globe has sold elsewhere for $30-$40 and more. Our price is pretty reasonable in comparison! 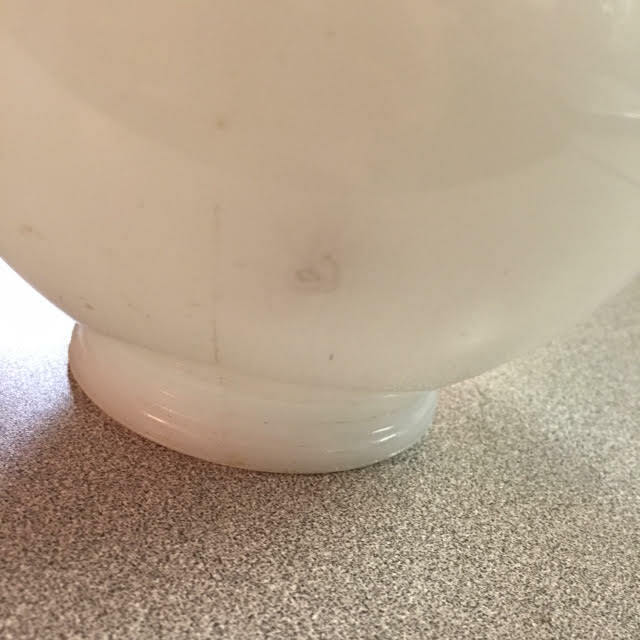 Condition: This globe is in really nice shape with just a single flaw or nick on the side, as seen in the pictures. Dimensions: About 6″ in diameter. Price: $12.00. Maine State Sales Tax of 5.5% applies. 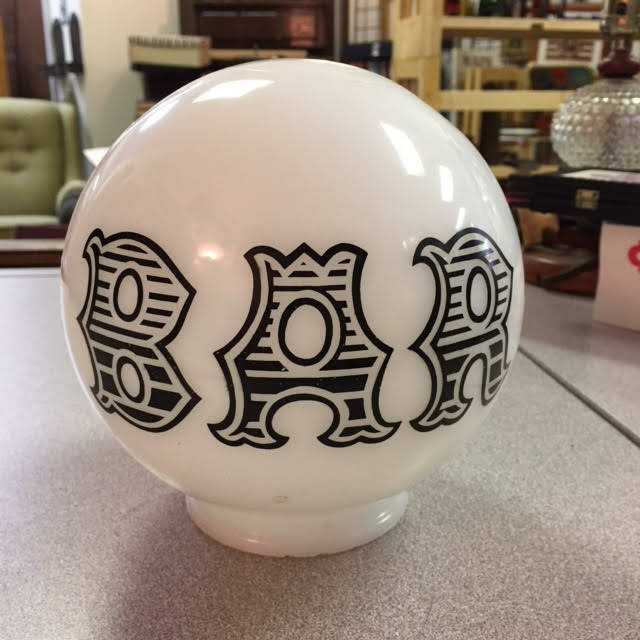 Vintage Milk Glass “Bar” Globe. 6″. A great retro look! This shows the nick or flaw on the side, bottom. This entry was posted in Home Decor, Kitsch & Curiosities, Mancave or Bar Items and tagged bar, globe, lamp, mancave, milk glass. Bookmark the permalink.